"Australia have to chase and deny India, who are nerveless, going after a total. It’s now 26 wins from their last 33"
When India were reduced to 99 for four in pursuit of 237 on a wicket which was assisting the spinners, Virat Kohli said to coach Ravi Shastri: this is good. Kohli wanted the lower-order tested under pressure ahead of the World Cup. They passed. Or rather Kedar Jadav passed. His 81 from 87 will give India immense confidence ahead of the summer tournament. MS Dhoni's 59 alongside was what they would have expected from the wily old stager. With India updating their squad after game two it is possible they stick with the same XI but don't be surprised to see changes. They will want to give a few combinations a try. Jasprit Bumrah and Kuldeep Yadav, for example, are certainties so Sidd Kaul and Yuz Chahal could get a game. Likewise KL Rahul could come for in for one of Rohit Sharma or Shikhar Dhawan. Australia are set up with the bat to build a platform to allow players to accelerate towards the end of an innings. At 87 for one batting first in the 21st they were on course. Marcus Stoinis was set and they looked ready to put their foot down. It didn't work out that way. They found freescoring hard and resembled some walkers gainfully struggling through ankle deep oozy mud in wellingtons. Wickets fell regularly and only Nathan Coulter- Nile was able to score at more than a run a ball. There were decent cameos, though, from Ashton Turner and Alex Carey low down. Coulter-Nile and Adam Zampa kept them in the hunt until the Jadav-Dhoni axis took control and Australia will no doubt shake up their attack. Jason Behrendorff could miss out here with Perth team-mate Jhye Richardson a possible. Kane Richardson may have to wait his turn. The last five first-innings scores at Nagpur (1-2 denote match won by team batting first or second, most recent first) read: 243-2/350-2/296-2/298-1/206-2. It is a chasing ground, then. The two sides met at the venue in 2017 and game one was almost a carbon copy. Australia had once again built a platform before losing their way. In reply, India found life much easier and a Rohit Sharma ton ensured no drama. Australia also failed to defend 350 there in 2013. Only Aaron Finch survives from that XI, though. India are [1.48] with Australia [3.0]. As we said before there is no point the visitors batting first. They have to chase and deny India, who are nerveless, going after a total. It's now 26 wins from their last 33. There was little to be impressed by what Australia offered in the first match. Remember they are a side who have a win percentage of 18 in the last two years so as much as we naturally lean toward the outsider, in this case it is hard to consider them. If they were to bowl first India would probably bat well enough to go even shorter. The best hope is that there is somehow a foothold for the Aussies batting first and we're able to get on India with prices towards [1.70]. Rohit's century last time out will make him a popular wager for top India bat but others have ground form. In that 2013 contest Kohli and Dhawan both hit centuries. Rohit is 5/2, Kohli 12/5 jolly and Dhawan 7/2 (all Betfair Sportsbook). Jadav is 8/1 for a repeat. For the record, Kohli is 9/2 for man of the match with Sportsbook. He picked up the gong seven years ago. The price isn't fair, though. He has a hit rate of 13%. Top Australia batsman doesn't need to do anything special it seems. Knuckling down is the best way as Usman Khawaja showed. His half-century (off 76 balls) was enough and he gets a 10/3 quote. Glenn Maxwell looked like pipping his team-mate before he was undone by Mohammad Shami on 40. 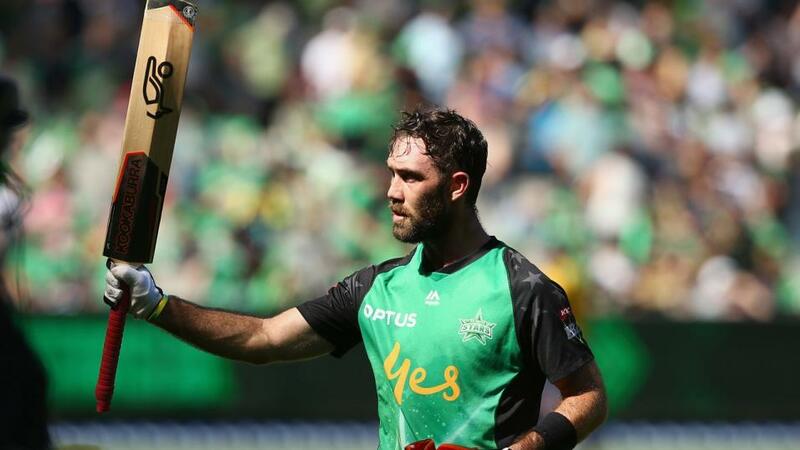 Maxwell is in good nick having impressed in the T20s. He is 4/1 with Sportsbook.